With the holidays right around the corner employers are looking to fill part-time and full time positions which makes it the perfect time for job seekers to explore new opportunities. New Orleans & Company is hosting its November Job Fest at Delgado Community College’s Student Life Center, 916 Navarre. Join us on Thursday, November 15th from Noon-3 p.m. Free parking will be available for guests. We have some of the top employers in the city’s largest industry ready to hire great, enthusiastic people like you! More details are below. When: Thursday, November 15, Noon to 3 p.m.
Where: Delgado Community College’s Student Life Center, 916 Navarre Ave.
Who: New Orleans & Company is hosting the event and everyone is welcome to attend. List of some of the participating employers below. 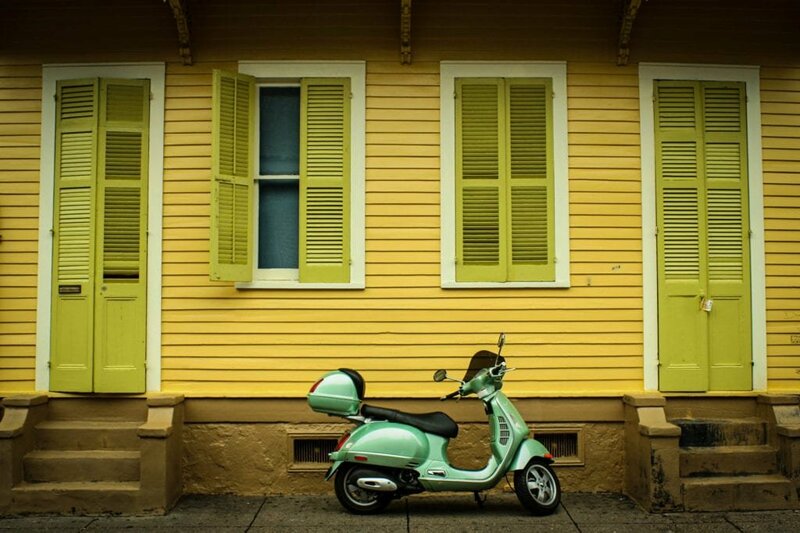 What: Designed to be a one-stop shop for job candidates, New Orleans & Company’s Job Fest allows participants to meet with a variety of employers from hotels, restaurants and other tourism fields. Participants can ask questions and learn more about the hiring process in a welcoming, one-on-one setting. 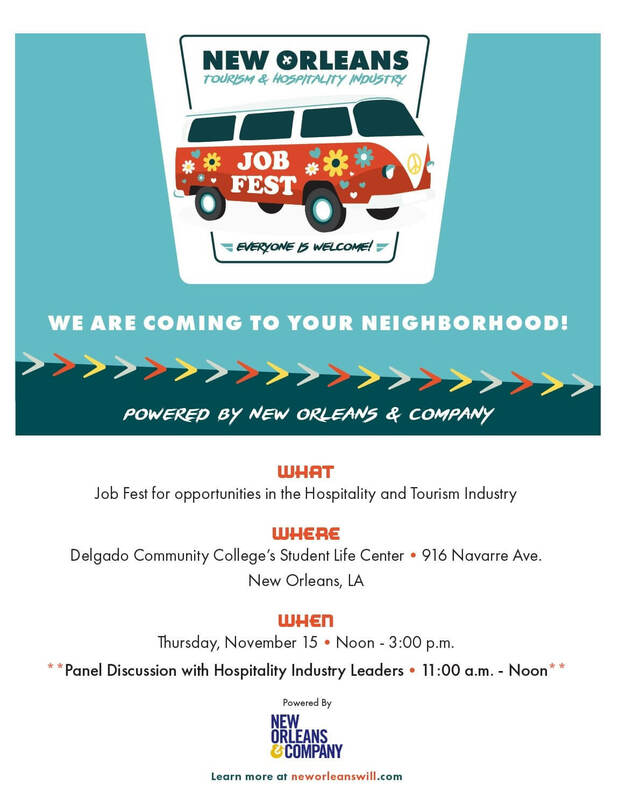 New Orleans & Company’s Job Fest is part of an effort to connect job seekers to careers in the hospitality and tourism industry across New Orleans.